The March Frozen Food Month is back! This year again, Easy Home Meals sponsored by the National Frozen & Refrigerated Foods Association, is encouraging consumers to take a fresh look at frozen in grocery stores who are offering great discounts and coupons on frozen foods all month long and participate in the March Frozen Food Month $10,000 Sweepstakes for a chance to win the grand prize of $5,000 or 1 of 5 $1,000 cash prizes awarded weekly. Entering is easy. During the month of March, you must visit www.easyhomemeals.com/giveaway/10000-sweepstakes. Upon clicking the logo, you’ll be redirected to the sweepstakes entry form that you’ll need to fill out in order to receive one entry into the Sweepstakes for that day. 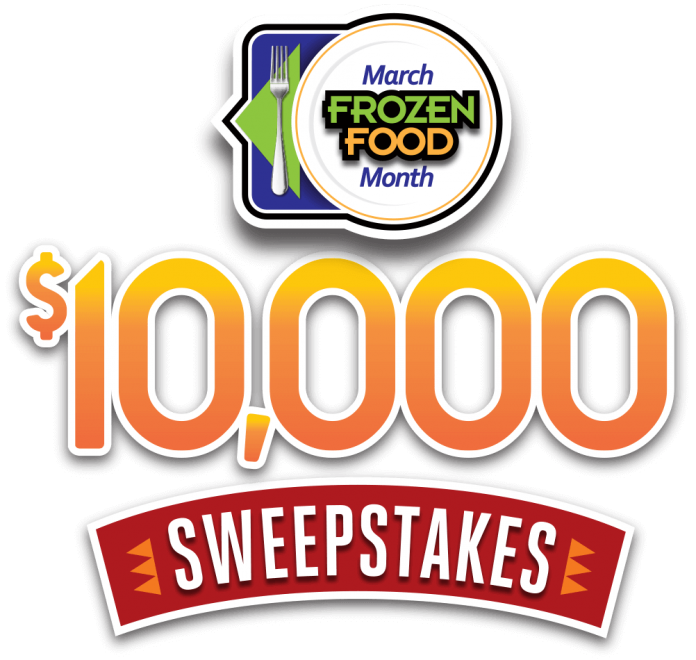 The March Frozen Food Month $10,000 Sweepstakes runs from February 26, 2018 through April 2, 2018. You are allowed to enter once per day during each Weekly Entry Period for a total of thirty four total entries during the Sweepstakes Period. The Grand Prize Winner will receive a check in the amount of $5,000 while five Weekly Prize Winners (one per weekly entry period) will receive $1,000 cash, also awarded in the form of a check. The March Frozen Food Month $10,000 Sweepstakes is open to legal residents of the fifty United States, the District of Columbia and Puerto Rico, who are the age of majority within the jurisdiction from which they reside on the date of entry. A List Of Sweepstakes Ending In April 2016: Enter Before It’s Too Late!